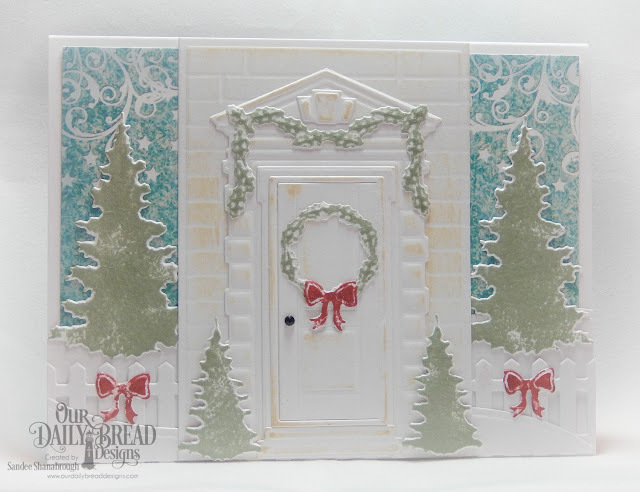 Simply Southern Sandee: Looking Back at the ODBD November Release! Love your snow people. They are so cute with those pretty snowflakes surrounding them. That pretty pink paper carries mimics the snowflake theme. The card with the door is just beautiful. I really like that you used the softer colors.